Sanyou Cave, located in the sheer cliff at the northern part of Xiling Gorge with 7 kilometers west-north of Yichang city, is a famous attraction of the Hubei province, featuring the odd but beautiful scenery in the cave and attractive mountains and water, which make it possibly the best cave scenery in the Three Gorges area. 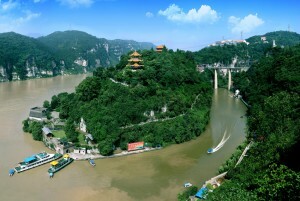 It has been listed as one of the key-protected attractions in China in 25th, May 2006. With the depth 30 meters, width 23 meters and height 9 meters, the Sanyou Cave is a fantastic and steep place where winter is warm and summer cool and shows its shape like an irregular oblong. 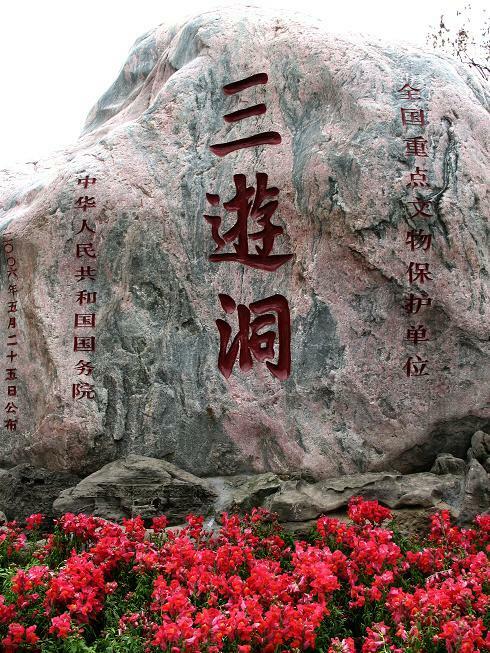 The Sanyou Cave is also called “Cave of the Three Travelers” as there were three famous ancient poets visiting there who are Baijuyi, Baixingjian and Yuanzhen. 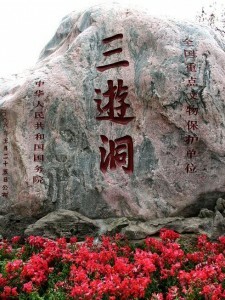 There were also other poets and officials visiting the Sanyou Cave yet and left inscriptions whose themes are almost the same—the praise of the majestic scenery in the cave, but the forms different because of the of the changes in Chinese language during the various eras and the differences in individual styles including Chinese regular script, clerical script, seal characters, running script, and cursive hand. What you can do in the cave include appreciate the cave itself, seeing the charming scenery, walking up the path from the cave to the Zhixin Pavilion, where you can have a birds’ eyes view of the astonishing scenery of the amazing Yangtze River twisting among the mountains. How unbelievable and unspeakable! It will undoubtedly be an enjoyable and unforgettable trip in China! 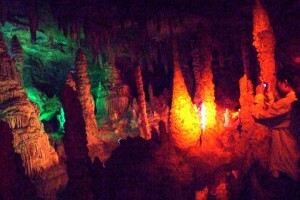 Travel information: 1) Opening time: 8 a.m. to 17 p.m.; 2) Ticket: 78 RMB/ adult; 3) The best time to visit: all the year round; 4) How to get there: just take the No.10 city bus and get off in the Sanyou Cave stop.